in Lynemouth Welfare Pavilion, Park Road, Lynemouth, Northumberland, NE61 5XL. The agenda and minutes are published on notice boards at the allotments and in the parish and available online via the website at least 3 clear days before the meeting or by contacting the Parish Clerk. There is an opportunity at the beginning of each meeting for the public to speak and raise issues of concern. If you would like to attend a meeting, please feel free to come along. Meetings take place on at least four times per year (in June/September/December/March), and usually on the third Wednesday of the month, at 7.00 p.m. Meetings finish at no later than 9.30 p.m. It was agreed at the Annual Meeting of the Parish Council on Wednesday 10th May 2017 that an allotments working group shall oversee the general management and maintenance of the overall allotment area and its tenants on behalf of the Council. The Council sets the Terms of Reference, and the group reports periodically to the Council. Councillors D. Cotton (Vice Chairman), C. Johnson, B. Grisdale. One representative of horticultural (garden) tenants [Mr. A. Fairfax]. One representative of equine (horse) tenants [Ms. K. Coulson]. Allotment rents are collected on the first and last Saturday in February each year [Saturday 1st February 2020 and Saturday 29th February 2020] between 10.00 a.m. and 12 noon in the Lynemouth Miners' Welfare Institute (Bridge Road) at Lynemouth Miners' Welfare Institute, Northumberland NE61 5YJ (opposite the Lynemouth Resource Centre). Tenants who do not pay will be given notice to quit. Vacant allotments can then be re-let to residents on the waiting list. All plots currently have a waiting list. Any vacant or relinquished allotments will only be re-let to residents on the waiting list who live in the village and whose application reaches the top of the waiting list on a first-come-first served basis. The rent for each allotment ‘chain’ is £40.00 per annum (from 1st February 2017) and is reviewed annually. This charge does not include any extra for the use and supply of free mains water. A map of the allotments site is available as a PDF document within the Parish Council's document library. For emergency call-out or minor repairs on-site, please contact Mr Steven COMMON, 1 Matlock Square, Lynemouth, NE61 5YE. telephone: (01670) 861820 OR 07827 412323, who may be able to assist when he can. (b) lamp standards, information kiosks, passenger shelters, public shelters and seats, telephone boxes, fire alarms, public drinking fountains, horse troughs, refuse bins or baskets, barriers for the control of people waiting to enter public service vehicles, and similar structures or works required in connection with the operation of any public service administered by them. A.1. For the purposes of Class A - “urban development corporation” has the same meaning as in Part XVI of the Local Government, Planning and Land Act 1980(32) (urban development). A.2. The reference in Class A to any small ancillary building, works or equipment is a reference to any ancillary building, works or equipment not exceeding 4 metres in height or 200 cubic metres in capacity. The erection of buildings would be ancillary to the function of the allotments and land use. The erection of any buildings requires approval by the Parish Council (although requested and paid for by tenants of the allotment) and it is the responsibility of the Parish Council to ensure the limit in numbers of buidings at the allotments are limited so they are ‘ancillary’ to the function of the allotments. Also the siting of the buildings should be done in such a way that it sensitive to the site and local landscape. The reference to the size of an ancillary building is no exceeding 4 metres in height or 200 cubic metres in capacity. The query to a 10x8 shed would be approx 15 cubic metres (based on the shed being 10ftx8ft ground area and a flat roof with a height of 6.5ft). As early as the 18th Century, there was considerable interest in the provision of smallholdings to relieve poverty, but this concern was concentrated upon the rural poor right through the 19th Century. There were some private initiatives to provide allotment gardens on the outskirts of cities, such as Birmingham, but these were usually more to provide leisure activities for the labouring class than to relieve poverty. Most allotments were small and more appropriate as urban recreation than to support the rural poor. In 1887 it was estimated that around two thirds of allotments were under a quarter of an acre (the so-called garden allotments) and only 9% above one acre. There was huge demand for allotments in the early years of the century, backed by legislation in 1907, requiring local authorities to supply them if demanded. By 1913, there were 600,000 allotments in England and Wales. During the War, large amounts of unused urban land were requisitioned to provide allotments to increase food supply, and by 1918 the number had risen to 1,500,000. Of course, the requisitioned land had to be returned after the War, but there was a huge demand for allotments, partly from returning servicemen who found it hard to re-enter civilian life. Legislation in 1925 required the need for allotments to be considered in every town planning scheme, and required that land purchased or appropriated by a local authority must not be disposed of or used for another purpose without ministerial consent. The number of allotments fell in the 1920s as the requisitioned land was returned to its former owners, but in the early thirties there was strong support for allotments for the unemployed, including some provision of allotments for the keeping of animals. On the outbreak of the Second War, there were almost 60,000 acres of allotments (about 570,000 individual plots) in urban areas of England and Wales, and 50,000 acres providing some 170,000 plots in rural areas. In wartime, there was another campaign to requisition land for extra food production, which was a great success. Since 1945, allotments have increasingly been gardens for urban dwellers. 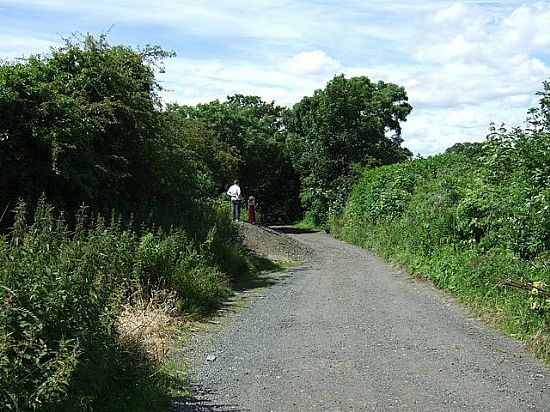 The Allotments Act 1950 restated the requirement that local authorities should have a duty to provide garden allotments, but left out the farm allotments for the rural poor, which are therefore no longer legally protected in this way. Despite extensive legal protection for allotments and legal requirements that they be provided, there is a considerable shortage of allotments. A report in 2010 estimated a waiting list of as much as 40 years in some areas. If you want to put a 'for sale' item on this page contact the Allotments Officer with details. Only gardening related items will be considered. Plot sizes are measured in 'chains'. 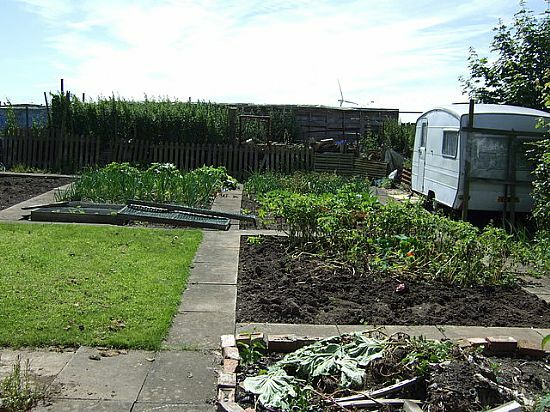 The size of a standard allotment is one 'chain' = 22 yds (20.12m). Plots sizes are usually 5 rods or 10 rods. A 10 rod allotment is actually 10 square rods in area, that is 10 x 5.5 x 5.5 = 302.5 sq yards (253 sq metres). In metric units, a 10 rod allotment is one fortieth of a hectare: in imperial units it is one sixteenth of an acre. Allotment tenants are responsible for the upkeep of their own plot. This includes adhering to the Prevention of Pests Act, which states that an allotment tenant is responsible for keeping the land free of rats. Unfortunately, legal guidelines prevent the Parish Council from handing out rat poison any more. Allotment tenants must respect the safety of other users of the allotment site and must not have firearms, including air guns, on the allotment site. Therefore, individual allotment tenants are responsible for getting rid of rats, but must not pose potential health and safety hazards by using firearms.